Learn more about France and other countries in our daily postcard e-letter. Simply enter your email address below and we'll send you a FREE REPORT: A Taste of France: All the Ingredients for the Good Life. When thinking about living in France, or any foreign country, assessing the cost of living is key. How much will you spend – really – on rent or mortgage, utilities, groceries, telephone, entertainment and so on? Naturally, the answer isn’t the same for everyone: it depends on your lifestyle and where you plan to take up residence once you live in France. Glittering Paris is almost certain to make larger holes in your budget than the modest lifestyle found in quieter corners of France, such as the Charentes or the Auvergne. 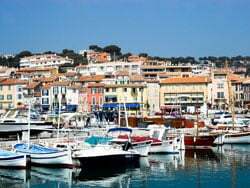 But despite lifestyle differences, it is possible to get a sense of whether you can live comfortably in France…and it may surprise you to learn that France is more affordable than you’d think. Apartment rental prices run the gamut across France, with the highest prices found in super-chic areas such as Paris and the Côte d’Azur in the South of France.Yet even in glamorous Paris, rental prices may be less expensive than you imagined. Excluding apartments in Paris’ most fashionable areas, you’ll certainly see two-bedroom rentals offered for $1,500 to $2,000 a month. It’s possible to find one-bedroom apartments in pleasant neighborhoods for $1,200 monthly, but they will be quite small. If you’d be happy with a studio apartment in Paris, expect it to cost about $1000 a month. By contrast, other cities are much better value. For example, in lovely Lyon in the Rhône-Alps region, you can find classical two-bedroom apartments right in the elegant historic center for $900 – $1200 a month. Apartments outside Lyon’s center cost even less, running about $800 – $1000. 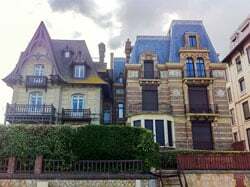 In and around Blois, a small charming city in the beautiful Loire Valley, you can rent a three-bedroom house for less than $900 per month and two-bedroom apartments from $800 and good condition, sizeable one-bedrooms from $500. So, don’t only confine your thoughts to life in Paris when France offers so many other affordable, beautiful places. Another cost to consider when renting an apartment in France are “charges.” Charges are incidental costs of maintaining the apartment building, including, elevator maintenance, security, and other building expenses. Charges can range from $60 to $100 a month in Paris, less in smaller cities and towns. When you are given a rental price quote for an apartment, always make sure that the total price includes charges. You’ll also need household insurance when you live in France—even if you are renting—as French law requires you to have insurance for your home. Various agencies offer insurance services. Monthly rates are typically from $30 to $40 in Paris and the larger cities, and less elsewhere. Your weekly food costs when you live in France will depend on whether you shop at a supermarket chain such as Carrefour, or at a local grocer, and, of course, how much you eat. In general, a couple can expect to spend about €450-€500 ($454-$567) a month on groceries in Paris, less in the provinces. While you typically get the best value from buying groceries in bulk a large supermarket, but one of the great pleasures of living in France is shopping at its famous markets. Not only is shopping at a market a dazzling experience for the senses—the gleaming pyramids of fresh fruits and vegetables, the colorful array of fresh fish on crushed ice, the ropes of sausages hanging from hooks all tempt ferociously—but the food is inevitably ultra-fresh and of exceptional taste and quality. With respect to utility bills, the amount you pay will depend on numerous factors: climate, the size of your property, the number of electrical appliances you have, how often you use them, and how well insulated your property. It will also vary depending on whether you heat with electricity, natural or bottled gas, solar power, wood or oil. In terms of heating, electricity tends to be the most expensive option with a 100kWH of usage costing about €11 ($12.25). To mitigate this, France has a plan whereby you are charged at a lower rate when using electricity during off-peak hours and other money-saving plans based on predicted consumption. You can expect a bill every two months, but if you prefer to pay monthly, that can be arranged with your provider. For most couples living in a typical village house combined gas, electricity and water costs are likely to run an average of €150-€180 ($135-$160) per month. Expect these costs to be higher if you have a swimming pool, large garden, have large house with poor insulation or live in a particularly cold climate. Virtually all sizeable towns in France have a public bus network with good coverage. Most large cities, such as Paris, Lyon, Lille and Marseille, also have an underground train service, known as the Métro. Electric tramway lines are becoming increasingly popular in many French cities. Montpellier is famous for its sleek, extensive system, but dozens of other cities have them as well, including Bordeaux, Paris, Toulouse and Nantes. The price of a bus or metro ticket may vary from €1 – €1.70 ($1.11- $1.89), but many cities offer discounts if you buy a weekly, monthly, or annual pass. Hundreds of thousands British and American expats live in France. So, unless you’re in an extremely rural location (but sometimes even then), you’ll probably have no problem connecting with other Anglophones. Most large French cities and towns have American or British associations, both formal and informal, that plan weekly or month get-togethers and activities. To find these, contact the American Embassy for information or you can simply type “expats in [your region or town]” in a search engine such as Google. Thanks to Facebook and other forms of social media, informal Anglophone groups are often formed within a particular region and the American Embassy doesn’t necessarily have knowledge of them…but search engines do!